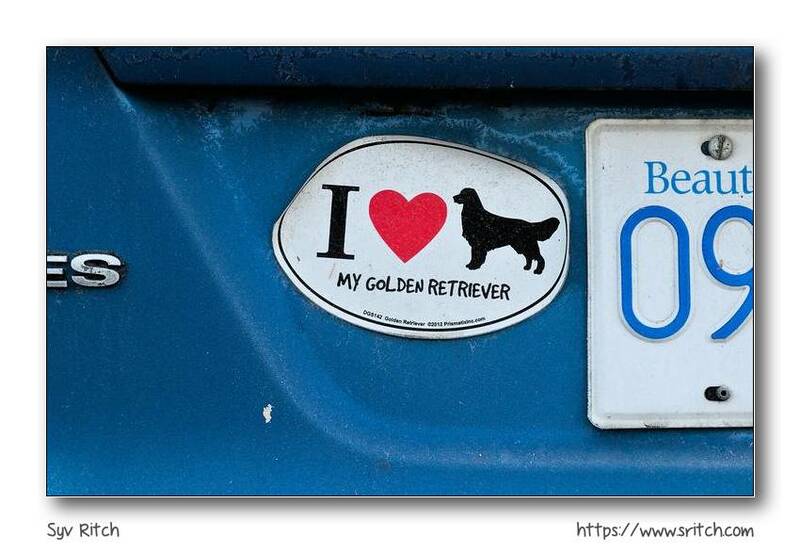 Somebody had a sticker: “I Love my Golden Retriever” on their older car. It was an old Ford Focus, semi-rusted. The sticker must not be that old since the copyright to the design is 2012, but everything else is falling apart. The vast majority of the Ford Focus owners are women. 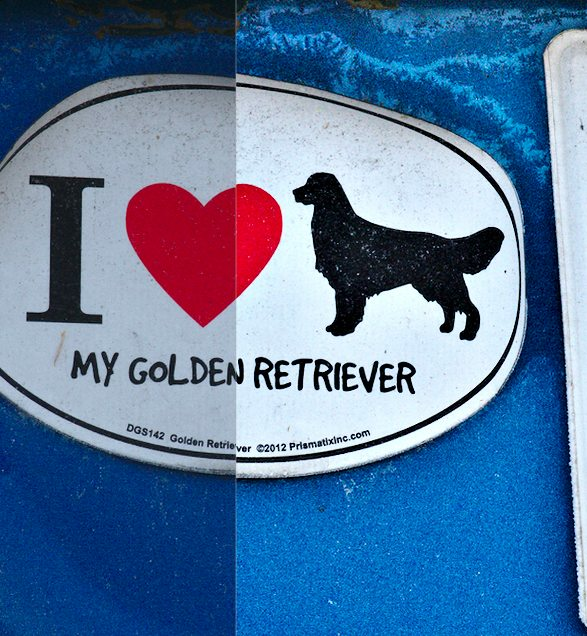 The majority of people putting stickers on their cars about something are women (which is different from the frame on the license plate that often says: “I’d rather be…”).